He called his role in ‘Can You Ever Forgive Me?’ an “homage” to men “wiped out” by AIDS. On the eve of the Oscars, Can You Ever Forgive Me? 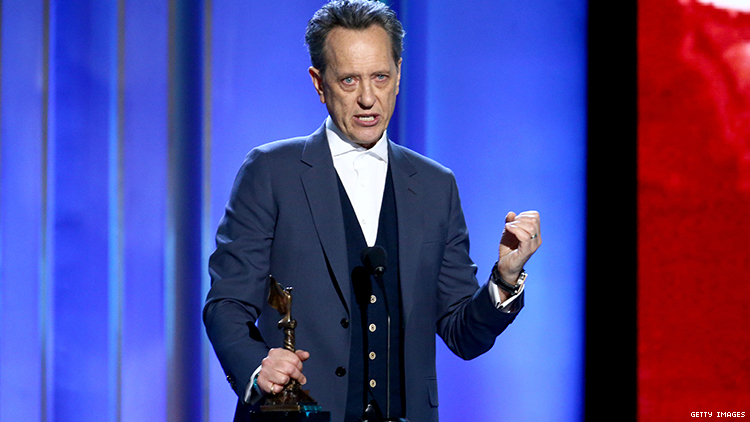 star and Barbra Streisand stan Richard E. Grant received the honor for best supporting actor at the Independent Spirit Awards. Grant, who played Melissa McCarthy’s gay, HIV-positive partner in crime in the film, called the role an "homage" to the men who died from AIDS in the 80s and 90s. Grantrecounted how Sam Rockwell and Chris O’Dowd had both been cast in his role before leaving the project, giving him “the third chance” to play Jack Hock. He credited legendary Chariots of Fire star Ian Charleson (a family friend) with inspiring his performance — Charleson died in 1990 of AIDS-related causes, one of the first celebrity deaths in the UK to be publicly tied to the epidemic. “This movie more than anything is an homage to that generation of men that were wiped out by that disease,” said Grant, visibly emotional. He went on to thank director Marielle Heller and McCarthy. Grant’s speech stands in stark contrast to Rami Malek, who has failed to mention HIV/AIDS in any of his acceptance speeches throughout awards season, including his win Sunday night at the Oscars. If straight actors are going to continue playing queer characters, they could stand to pay attention to confirmed LGBTQ+ ally Richard E. Grant.